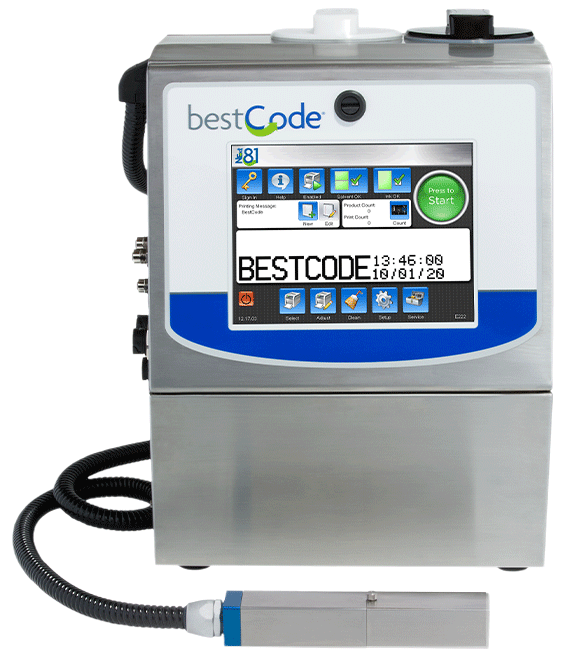 The BestCode Model 81 is targeted at basic, entry level applications, printing 1 or 2 lines of text, barcodes or graphics. Typical applications mark and code one shift per day, five days per week, averaging 2,000 hour annual operation. Systems are simplified to allow anyone to operate, minimizing operator touches.